A rechargeable battery will save you some extra money on purchasing non-reusable batteries. Besides, for your convenience, it offers both AC and USB charging. Choosing one of the numerous intensity levels might be time-taking. Once you get this immaculate TENS unit, you can forget about annoying headaches, migraines as well as muscles stiffness and discomfort. Try it and feel the difference! Your body will thank you. 2 modules connect to the simulator unit and adhesive pads without any wires ensuring convenience of cord-free operation. Besides, the modules are powered by rechargeable batteries. Gel pads lose their adhesive qualities pretty quickly. 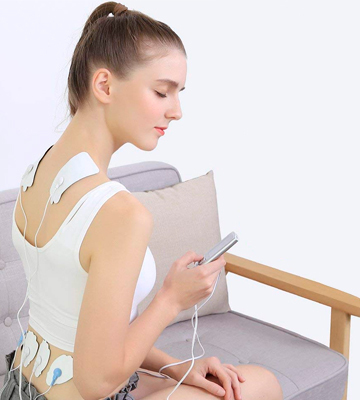 Free from cords and fitted with a number of electrodes, this model of muscle stimulator can be conveniently used both at home and on the go. It won't limit your movements and will come to help wherever muscle pain or spasms strike you. A measuring scale on the front dial controls will help you select an optimal massage mode and pulsation for different body parts with accuracy and precision. An automatic shut-off function is not included. 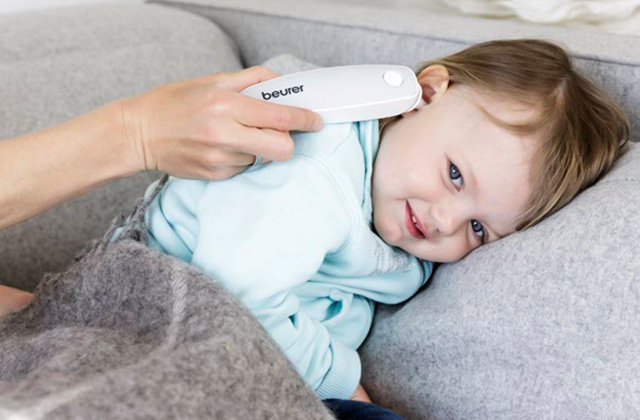 Though this pain relief device is not fitted with digital controls and LED display, its performance and functionality are not inferior to more sophisticated and advanced models. Here simplicity is the ultimate sophistication! 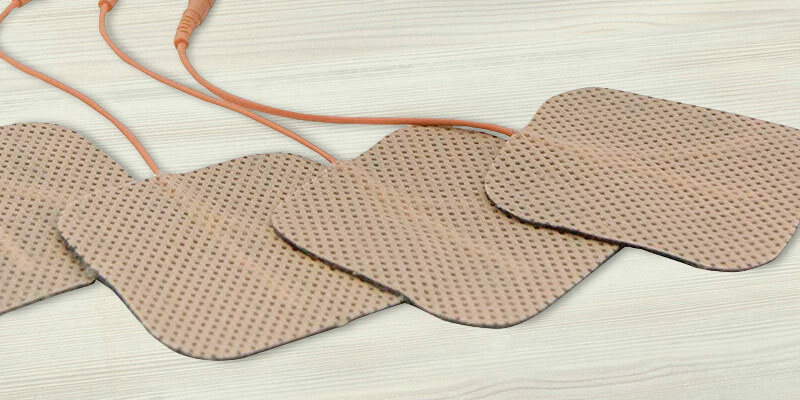 A low-intensity mode allowing you to use adhesive pads on a forehead will help quickly relax and relieve a headache. Replaceable pads are somewhat inconvenient to store. A variety of application areas along with a great number of intensity levels makes this device from TEC.BEAN highly versatile. Not only will you be able to tackle muscle and joint pain but also it will help you improve your skin condition making it more toned and elastic. Self-adhesive pads are made of highly durable material and will serve you pretty long. Moreover, they are washable and will easily adhere even after cleaning. Plus, you'll get 2 pad sets in the package. Adjustable dials on the top are too sensitive. 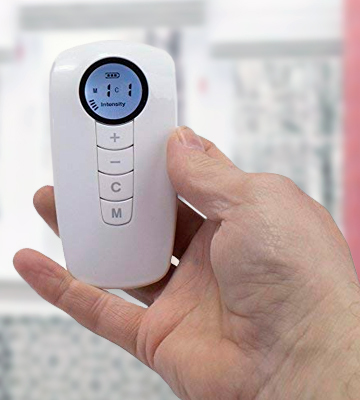 As each of the 5 operation modes uses a different TENS technique everyone can find an optimal one to suit their needs, skin sensitivity level, and personal preferences. With this pain relief device you'll be able to effectively fight muscle soreness as well as take care of your comfort. Would you like to take away muscle pains and discomfort once and for all? An ingenious pain relief device from the Tens Company will come to help. 4 pads and a dual-channel connection will allow you to enjoy pleasant relieving pulsations and invigorate sore muscles in different body areas at once. Moreover, you can adjust the intensity out of the 99 available levels individually for each channel and set the optimal massage mode depending on an aching body part. In other words, you can treat two separate body areas at a time using different settings for each channel. 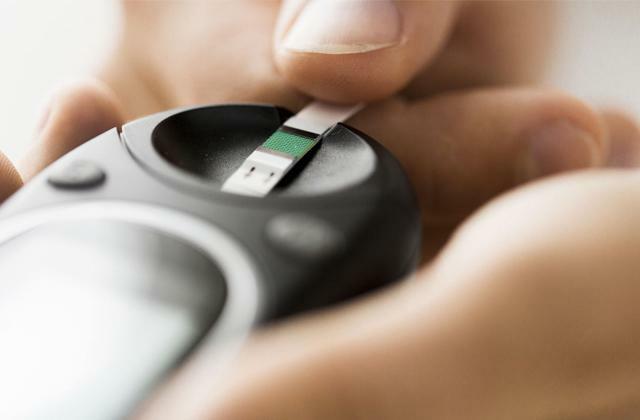 It’s not a common feature for TENS devices and it allows selecting an optimal treatment program for different sorts of painful sensations and health programs. Thus, while applying high-intensity pulses to fight acute pain in the knee, you can set low intensity to sooth muscle stiffness in the neck and relax. 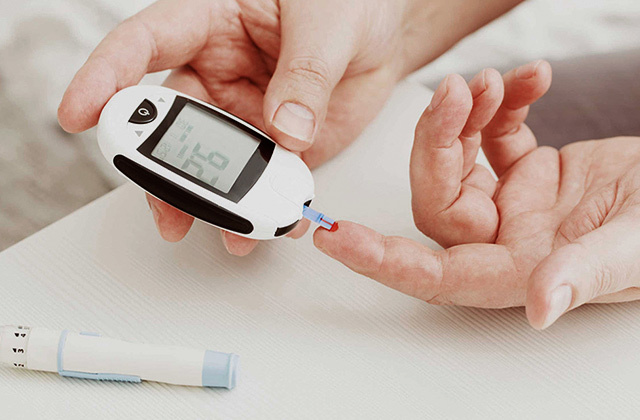 In addition to the utmost accuracy of digital controls, this model stands out for as many as 24 preset programs, all clinically approved and providing an individualized approach to any user. Hence, there is a setting to match the most exacting needs and meet all possible expectations. Speaking of the device itself, it belongs to the premium series and stands out for its well-thought premium design. The model features soft-to-the-touch and absolutely noiseless control buttons and an easy-to-read LCD display that shows the current settings. Equipped with a rechargeable battery it offers users much more comfortable use reducing the replacement costs. A low-battery indicator will let you know when it’s time to recharge. Meanwhile, a single battery charge will deliver about 12 hours of treatment. So, most likely than not, you won’t have to juice up the battery too often. On top of that, the package comes complete with 12 replacement pads that will save you the need to buy new ones for quite a long time and a hard case for safe and convenient storage and transportation of the unit. 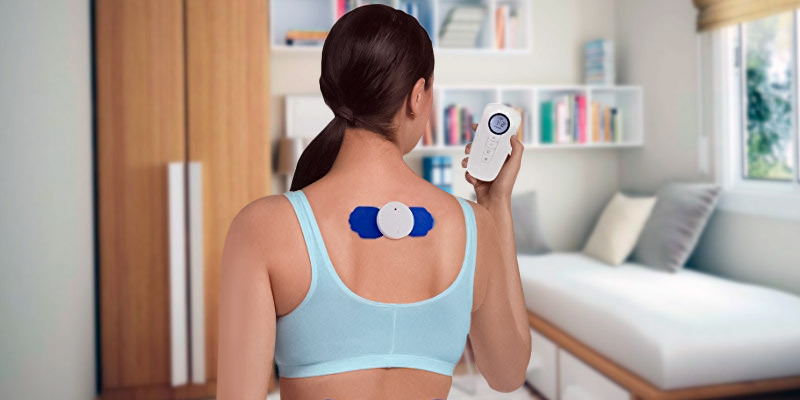 All in all, the Tens Company pain reliever is one of the best pain management devices that can become your home chiropractor or physical therapist. It’s a highly functional, versatile, and accurate fully digital unit for a resultative and reliable treatment of a whole range of painful conditions. Those who suffer from some sort of chronic pain in the neck, back, lumbus or limbs, know firsthand how debilitating it might become. It decreases the quality of your life and prevents you from functioning normally during the day. To manage this problem some would regularly go to the therapists while others would resort to painkillers. A quality TENS device is an efficient alternative method for keeping all sorts of muscle and joint pain under control. Yet, most models feature a number of cords and can hardly be used in the middle of the working rush. Well, most but not all and the wireless TENS machine is one such exception. The edge of this model over the rivals is that it has no cords connecting the pads to a power module. Hence, you can easily use it pretty much anywhere you are. The package includes a control unit, two simulator modules, and a set of self-adhesive gel pads. Simulator modules have no cords and connect to the control block wirelessly. Meanwhile, the device is powered by rechargeable batteries ensuring up to 8 hours of treatment and saving you the need to buy replacement batteries. Besides, these batteries can be charged either directly from the mains or via a USB port making it even more convenient to use should the pain strike you unexpectedly. A set of adhesive pads includes one larger pad which is best used for back and lumbar area or belly and four smaller pads for spot application on any other body area where you feel discomfort. 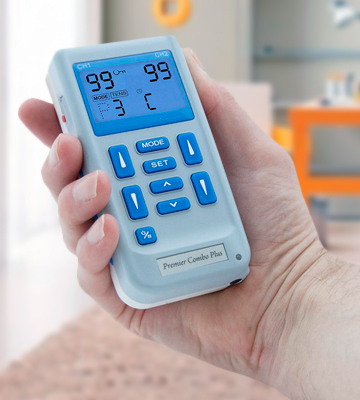 A control unit with an LCD display allows setting one of 20 pulsation intensity levels and choose between 4 pre-programmed modes to meet your individual needs and manage your current health condition. For your convenience, the buttons are specifically designed to prevent accidental intensity modification. 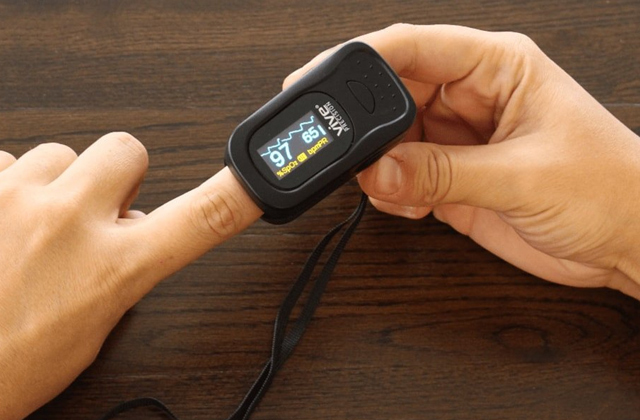 A wireless TENS muscle stimulator is not the cheapest model out there, yet, it is well worth its price since what you’ll get is not simply a kind of massager but a class 2 medical device. 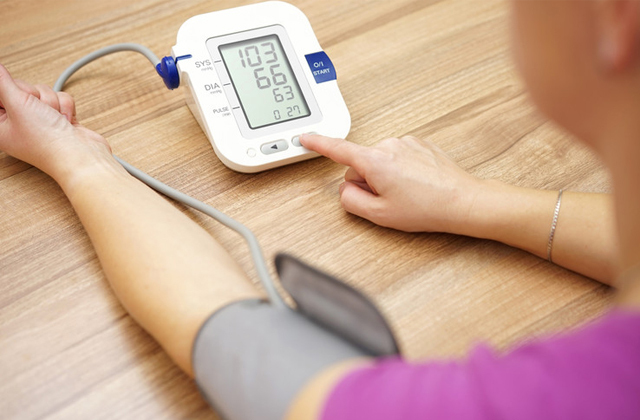 It means that the unit is manufactured in full compliance with the strictest medical standards and meets the requirements of the Medical Device Directive. Hence, you can be sure in its quality, efficiency, and safety. For the sake of truth, only a few other competitor models on the market can boast medical certification, which favorably differs it from competition. 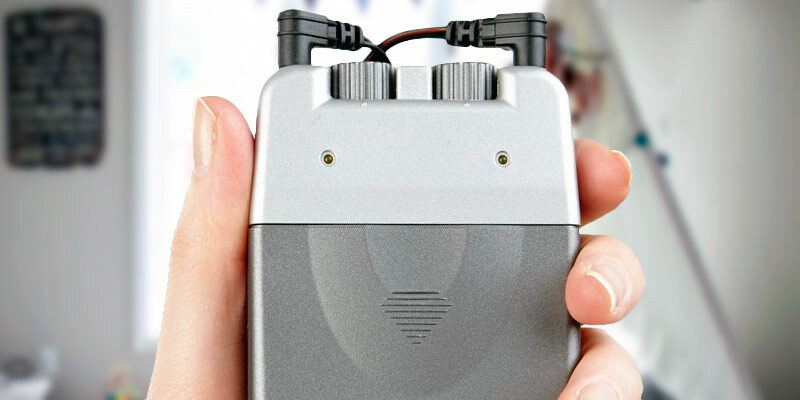 To sum it all up, if you need a functional device to manage chronic pain when at work or on the go, this cordless muscle stimulator will fit the bill. Choosing any kind of device or appliance, we intuitively seek the best. And by “the best” we most often imply a sophisticated design and advanced functionality. Yet, in practice, it is not always about premium features and simple devices often appear not less practical and efficient than their top-rated counterparts. The same is true for the Med-fit 1 pain relief device. 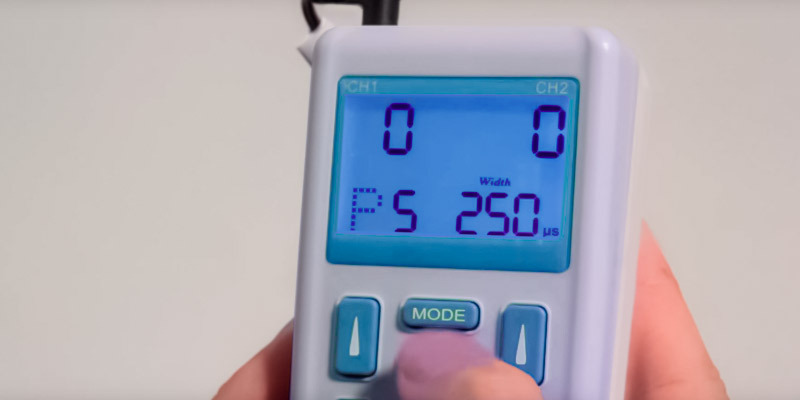 At first sight, this mini Tens unit with only several mechanical dials might seem very simple and limited in functionality. Once you try it, however, you'll see that it's absolutely not. Even though it's been not equipped with an LCD display and digital controls, it offers all the same basic functionality of more sophisticated devices. Here, 4 rather large (5x5 cm) pads connect to the stimulator block via 2 channels with an individual intensity dial per each channel. Slide down the front panel and there you'll find pulse rate and pulse width dials to adjust the settings for each pair of pads. For your comfort and healing effect, you can select the optimal intensity settings for different body parts on a measuring scale. 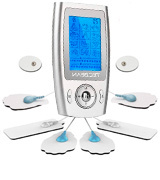 More than that, the device also supports 3 massage modes including constant, modulation, and burst modes. All this just proves that the Med-Fit machine doesn’t trail behind more advanced digital models. 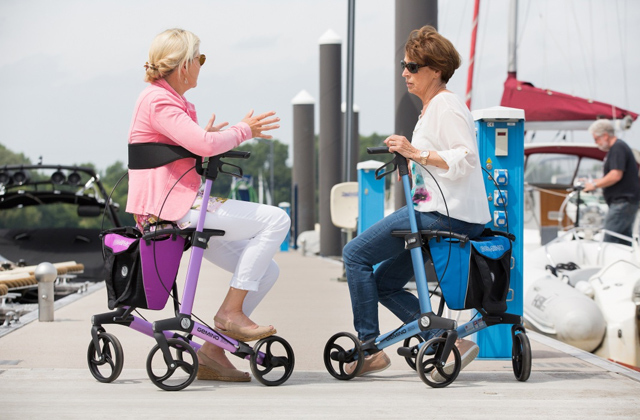 To put it in a nutshell, at a budget-friendly price tag, the Med-fit offers the same versatility and efficiency of more expensive models, ensuring healing effect and noticeable pain relief. 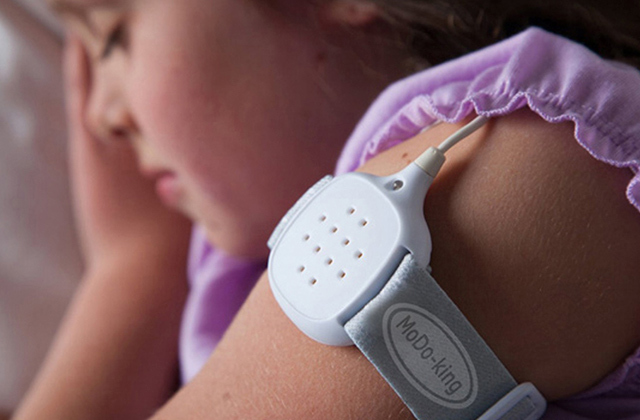 Try the Med-Fit 1 Tens pain relief device and you'll never regret your choice. TENS electrodes should not be used during the first weeks of pregnancy and by patients using a pacemaker. ENS devices should not be used in the bath or shower, with cold or heating pads and can cause burns or skin damage when applied for too long. If you'd like to get yourself a TENS device but can't decide which model to buy, look no further. The TEC.BEAN company offers one of the best TENS machines for those who do not want to buy an expensive device yet are looking for something versatile and efficient, something that can alleviate pain and bring relaxation. The pain relief device we have on hands is just like that. It comes at a surprisingly low price yet it doesn't lack in functionality and can give even premium products a run for their money. Let's take a closer look at its features. Encased in a compact and lightweight design, the TEC.BEAN will surprise you with its performance and functional versatility. The stimulator controller provides access to as many as 12 operation modes, to cover all of your body areas from neck and back to legs and feet, arms and elbows, shoulders and knuckles. Also included are 20 intensity levels that allows you to choose pulsation strength for different pain thresholds. This way, a lower intensity is used for a relaxing massage and to take off fatigue and tension while higher intensity levels are used for acute and chronic muscle and joint pains. The machine comes in the set with 8 adhesive pads which vary in size to suit for various applications. Another advantage of this machine is that it has a built-in timer which means you can adjust the length of a massage session and totally relax knowing that the device will automatically turn off when the time is up. This is a convenient feature which favorably distinguishes this pain relief device from similar models. The only problem we have with this device is that its pads seem to start lose their stickiness after only 10 uses (or so). Personally, we do not consider it as a big deal but still, it would be nice if they lasted a bit more. That being said, rubber pads are not expensive and available for purchase, so it will be easy to replace them when the time comes. Once you find your ideal combination of a massage mode and pulsation intensity and feel how the pain fades away giving up to comfort and relaxation, the TEC.BEAN pain relief device will become your best health assistant. 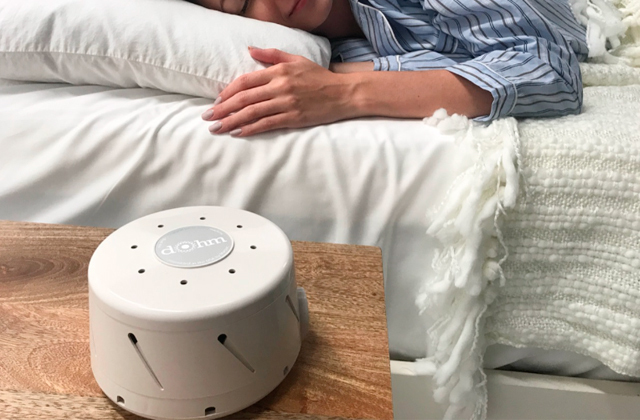 Whether you suffer from chronic pain caused arthritis, inflamed discs and joints or injuries or from acute pain, muscle soreness, and body tension, this little unit will come to help. A low-intensity mode allows using adhesive pads even on a forehead to relieve headaches and migraines. The controller can be easily clipped to your belt while cords are long enough to attach the pads to any body area so that they won’t hinder your movement when doing some chores. However, a pain killing effect without using any medicines is not the only merit of the TEC.BEAN device. 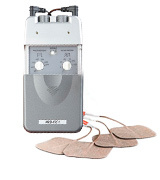 Slight electric impulses reducing pain sensation also stimulate your muscles and tone up your skin. Muscle contractions will help diminish wrinkles and prevent the appearance of new ones as well as improve the overall skin elasticity. So, a positive “side effect” you’ll experience with this model is a better skin condition. 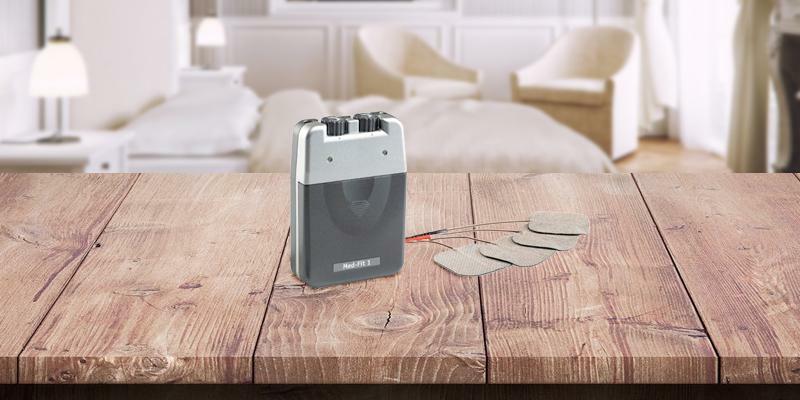 Summing up, the TEC.BEAN electronic muscle and nerve stimulator is an affordable and versatile device suitable both for regular daily use and for occasional application as well as for a quick relaxation after a day at a work desk or intensive workout. Pain in the back, neck, and shoulder areas, chronic wrist fatigue, and annoying evening headaches are the “best friends” of office sitters. To combat a sedentary lifestyle and be more active many people hook into fitness and exercising hoping to prevent and avoid the troubles of inactivity. However, training hard, they often feel muscle stiffness and tension causing discomfort and painful sensations. Whatever the reason, you should not tolerate the pain. While medicines are not the best option, a reliable medical device inducing production of endorphins, the natural painkillers, is a great alternative. 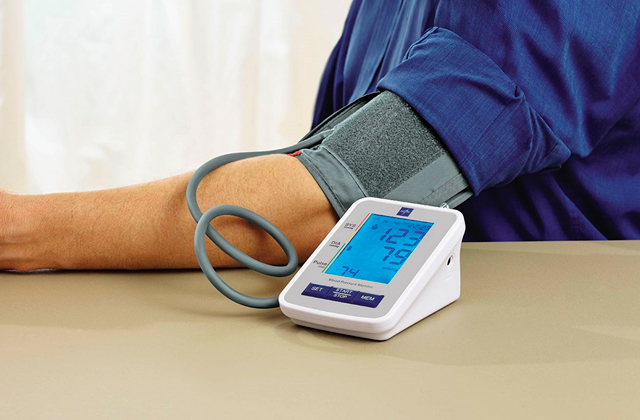 Med-fit is an expert in pain relief devices applying TENS technology and the Med-fit 3 is one of the top-sellers combining a reasonable price, simple design, and functionality. It’s a more sophisticated version of its predecessor Med-fit 1. Also packed in a compact body with two control dials on the top, the model boasts a digital display conveniently visualising settings. The dials are meant for customising the pulsation strength and intensity to your needs and body sensitivity. Behind a sliding front panel, you will also find button controls for choosing one of the five massage programs and adjusting the pulse width and rate accordingly. It’s recommended to start with low settings and gradually move to higher ones, following your body sensations. Remember that there should be just a noticeable tingling feel with no discomfort. 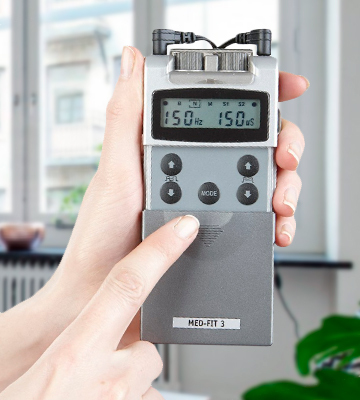 Knee osteoporosis, acute dental pain, pinched nerve, disc degeneration, lumbago, disc degeneration, fractures, and arthritis are only a few conditions you can manage by using Med-fit 2 TENS machine. In a detailed guide, you will find all necessary information on how to place electrodes to properly tackle different conditions. 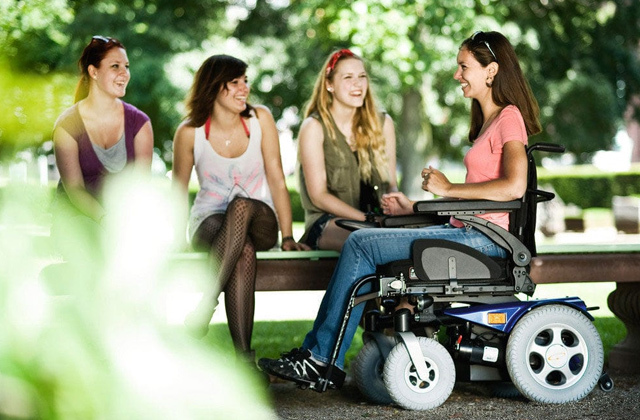 As functional and efficient as it is, the Med-fit 3 is also distinguished by a quality design. A weak point of almost all devices of this kind is rubber pads. Usually, they don’t last too long, lose stickiness and need replacement after several uses. The Med-fit 3 boasts self-adhesive pads that are made of highly durable material and will serve you much longer, not to say that you'll get 2 pad sets in a package. What’s more, all pads are washable that helps further extend their service life. Simply wash the rubber side of the pad with clean water after each use and let the pad absorb the moist to refresh it and restore the stickiness. 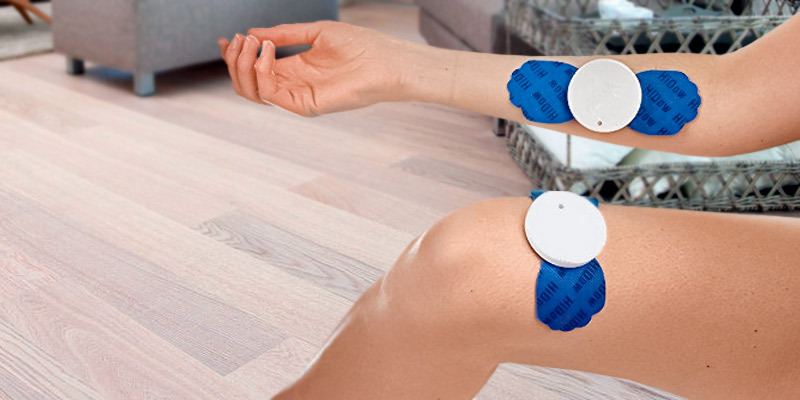 To round things up, the Med-fit 3 is a simple, reliable and at the same time versatile pain relief device that will help you eliminate or considerably relieve all sorts of muscle and joint pains without any adverse effects. Fitted with comprehensive instructions, it will be a breeze to use to anyone, even if you’ve never used a device like this before. What Is a Pain Relief Device? People who often deal with muscle tension, body fatigue, nervous exhaustion should treat this problem on time rather than have a bundle of more problems later on. One of the simplest ways to relieve pain sensations without visiting a physician is to get a pain relief device. Not only can it brush off stress and fatigue, it can also help improve body circulation and bring an overall relaxing effect after a long day on feet, physical exercises, etc. If you want to enjoy a complex body massage you will definitely appreciate massage chairs. And if you spend a lot of your time on foot, we'd recommend you to take a closer look at special foot massagers. When you select a pain relief device, first make up your mind about its operation technology. 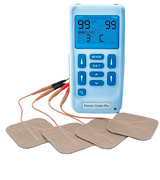 On the market, you will find TENS based units and devices using infrared light energy to relieve your pain. 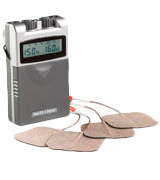 TENS (Transcutaneous electrical nerve stimulation) technology ensures mild electrical impulses impact on certain body areas leading to active muscles contractions, improving blood circulation, stimulating healthy metabolism and even promoting fat loss. You can use a TENS device to cope with cellulite, strengthen and even build-up your muscles. The unit design usually consists of special adhesive pads that are easily attached to the desired body area. The more pads your device features the larger area you can cover. The number of channels is essential as well. 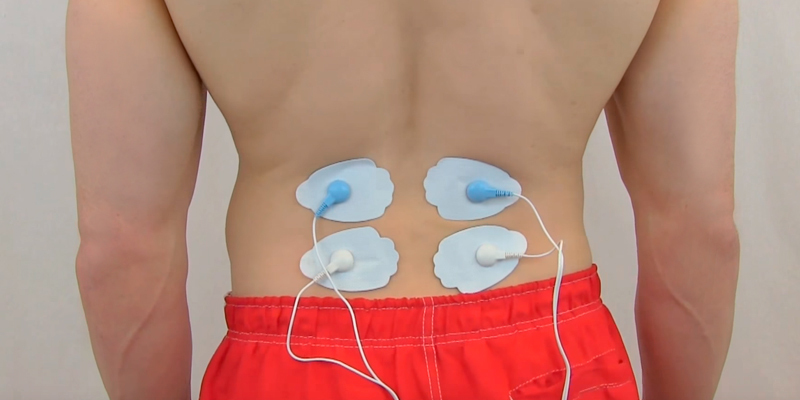 For example, 2 channels allow applying the unit on two body areas – both legs and abdomen. As a rule, the pads are made of special non-sensitizing materials to avoid skin irritations. Speaking of infrared light, it forms the waves deeply penetrating through the skin, warming up your body and promoting damaged cells restoration and renewal. Moreover, scientific research has proved that a regular infrared heating therapy fortifies human immune system. IR device design usually includes many infrared light emitting diodes. The other things to consider are the symptoms you want to get rid of. Almost all modern models of pain relief devices are created to alleviate and remove muscular and joint pains, headaches and migraines. Meanwhile, you can apply it to any body area where you feel discomfort in, including shoulders, neck, back, lumbar area, abdomen, arms, legs, and feet. 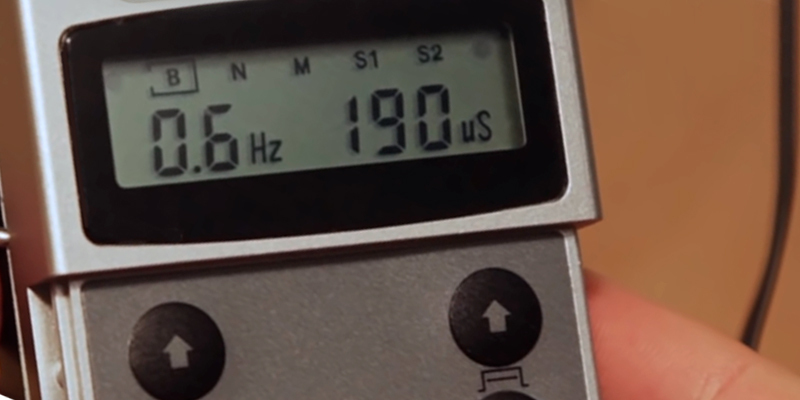 The number of operation modes available in the unit is also significant since the more preset modes your device has the easier and quicker you will select an optimal mode for a specific body area. For example, some models come with tapping and Shiatsu modes imitating the hands of a professional masseuse. At the same time, you shouldn't forget about functionality and usability. An LCD display will always show a current operation mode, operation time, battery charge status and other important information. 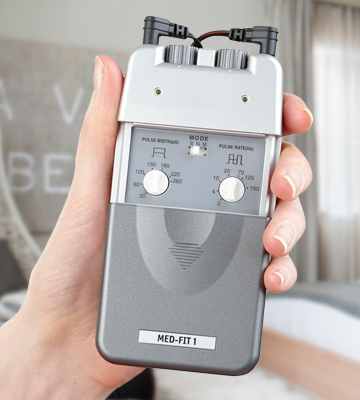 An independent operation time setting along with an automatic switch off function will be extremely useful if you occasionally fall asleep during a massage. Several intensity levels will allow you to select the best one depending on your preferences and skin type. A travel bag is a truly handy accessory if you want to use your pain relief device not only at home but also at work, in the gym or even during long-term trips and journeys. As for the power source, the units are basically powered by electricity or batteries or sometimes combine both power sources. When a unit is FDA cleared or FDA approved it proves that a device is safe for your body producing no negative effect. However, before you start using your pain relief device we strongly recommend consulting your doctor to avoid any potential harm to your health. 1. Suann Schuster Benefits of a TENS Unit, LIVESTRONG. June 25, 2015. 2. Melinda Ratini Back Pain Health Center, WebMD. September 16, 2015. 3. What are the Advantages of using a TENS Machine? PhysioWorks. 4. Shawn Perine, Tips For Relieving Muscle Soreness, Men'sFitness. 5. Barbara Russi Sarnataro Sore Muscles? Don't Stop Exercising, WebMD. 6. Transcutaneous electrical nerve stimulation, Wikipedia. November 8, 2016.